Rates subject to change based upon availability. A minimum stay of 2 nights on weekends (some weekends may require 3 nights). Shorter stays are possible if space is available and may only be made by phone. Should you decide to extend your stay, please check with the front desk as to availability of your room. In this situation, in-coming guests with reservations have priority. A 50% deposit is required. The deposit is applied to your entire stay. Please check your arrival and departure dates carefully. You will be charged for the full number of nights you have reserved. In the event you must cancel your reservation, a refund (less a $15.00 service fee) will be returned provided your request is received more that 14 days prior to your arrival date. In the event a shorter notice is given (less than 14 days), your deposit will be refunded as a gift certificate, only if we can re-rent the space you reserved. We will apply the deposit from whatever nights that we re-rent to a Pine Grove gift certificate that is good for one year from the cancellation date. Our office hours are 8:00AM-10:00PM. Our pool hours are 7:00AM-10:00PM. 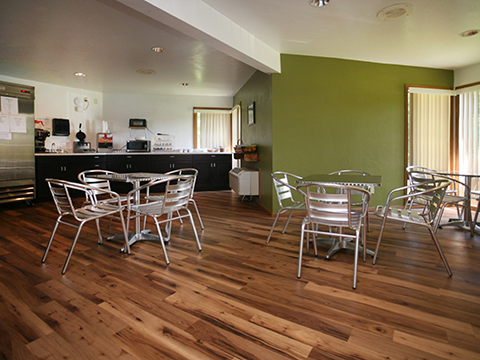 Our breakfast hours are 7:00AM-10:00AM. Please Note: Incoming Phone Calls to Guest Rooms are not available after 10:00PM. Your room will be ready by 3:00PM. Check-out time is 11:00AM. If you arrive after 10:00PM there is a late check-in box located to the right of the Office door. Please Note: In consideration of other Guests, we cannot accommodate pets. Bicycles are not allowed in rooms. A bike rack is provided, but locks and storage are not. Must be 18 years or older with a valid ID to rent a room. Please note: 3rd & 4th person in room... $12 per person per night for those over 14 years old. Kids 14 and under are no additional charge. For the comfort and well-being of all of our guests, all our rooms and room decks are non-smoking areas. 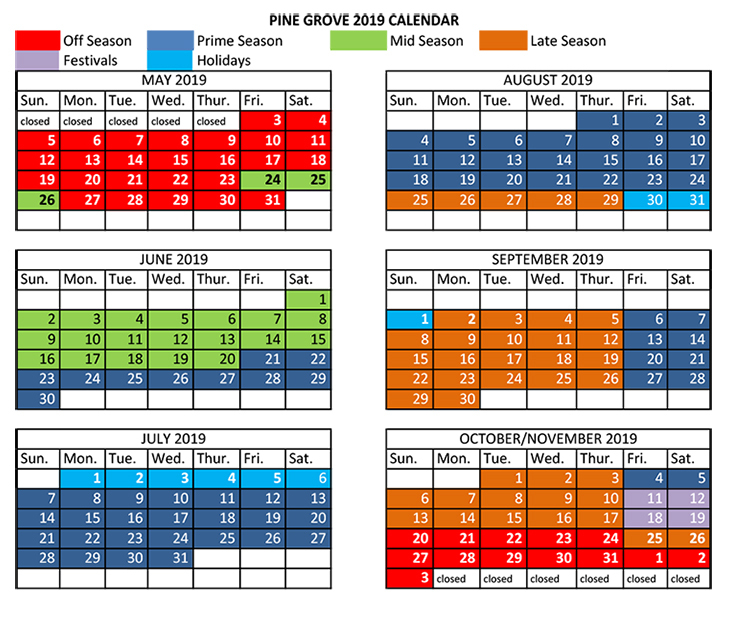 At Pine Grove we welcome the opportunity to provide accommodations to bus tours, weddings or any other large groups. 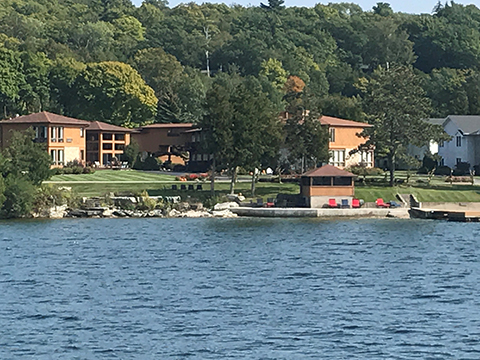 If you are interested in reserving a block of rooms for your group or guests, please contact our General Manager at 920-854-2321 to discuss discounted pricing and other special accommodations/amenities that we offer to tour groups, wedding or other large groups. If you have any questions, please feel free to contact us. We are looking forward to making your stay most enjoyable!